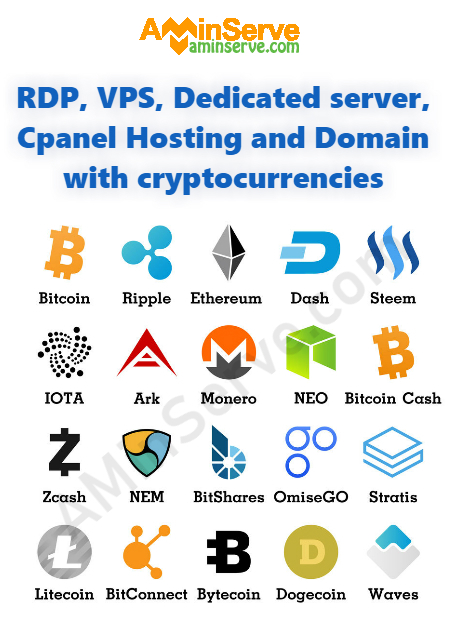 From now on, we are officially accepting all the major cryptocurrencies for RDP, VPS, Dedicated server, Hosting and Domain registration. Altcoin or alternative coins refers to cryptocurrencies invented after Bitcoin. There are many cryptocurrencies other than Bitcoin such as Bitcoin Cash, Litecoin or Ethereum that are getting popular nowadays. As we received many requests from our customer, we launched the a new gateway (all cryptocurrencies) and now it is fully functional for all of our services. 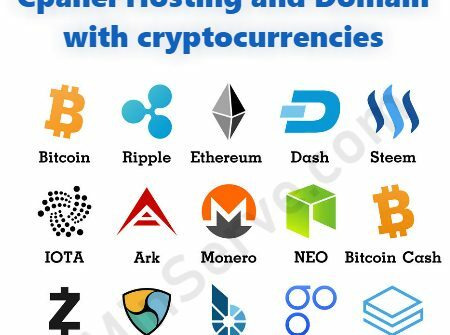 Litecoin (LTC), AudioCoin (ADC), BitConnect (BCC), Bitcoin Cash (BCH), BitBean (BITB), BlackCoin (BLK), Breakout (BRK), CloakCoin (CLOAK), Crown (CRW), CureCoin (CURE), Dash (DASH), Decred (DCR), DigiByte (DGB), Dogecoin (DOGE), eBoost (EBST), Ether Classic (ETC), Ether (ETH), Expanse (EXP), FLASH (FLC), GameCredits (GAME), Byteball Gigabytes (GBYTE), GCRCoin (GCR), Goldcoin (GLD), Gridcoin (GRC), Groestlcoin (GRS), Komodo (KMD), LeoCoin (LEO), LISK (LSK), MaidSafeCoin (MAID), MonetaryUnit (MUE), NAV Coin (NAV), NEO (NEO), NoLimitCoin (NLC2), Namecoin (NMC), NVO Token (NVST), Nexus (NXS), Omni (OMNI), Onix (ONX), PinkCoin (PINK), PIVX (PIVX), PoSW Coin (POSW), PotCoin (POT), Peercoin (PPC), ProCurrency (PROC), Pesobit (PSB), Pura (PURA), Quark (QRK), Qtum (QTUM), RegalCoin (REC), Steem Dollars (SBD), SibCoin (SIB), SmartCash (SMART), STEEM (STEEM), Stratis (STRAT), SativaCoin (STV), Syscoin (SYS), TetherUSD (USDT), Voxels (VOX), Vertcoin (VTC), Waves (WAVES), Counterparty (XCP), NEM (XEM), Monero (XMR), VERGE (XVG), ZCoin (XZC), ZCash (ZEC), ZenCash (ZEN).